Stacy focuses her practice on complex commercial litigation where she defends insurers in insurance coverage and bad faith litigation, and represents professionals in professional liability litigation. For her work on behalf of the insurance industry, Stacy has been named to the Super Lawyers®list by Minnesota Super Lawyers magazine. She is listed in The Best Service Professionals in the United States (under Lawyers: Insurance) and in The Best Lawyers in America. She was also named Insurance Lawyer of the Year for 2013. Stacy was elected to the American College of Coverage and Extracontractual Counsel (ACCEC) in May, 2013. In May 2015, she was elected to the ACCEC Board of Regents. 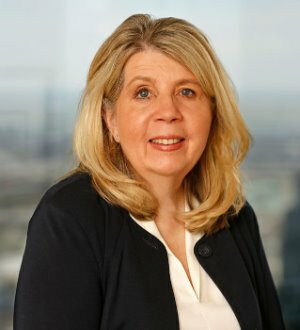 Stacy is on the Board of Directors of the Federation of Defense and Corporate Counsel (FDCC), an organization comprised of leaders in the insurance and corporate defense bar. FDCC membership is selective and by invitation to those who have been judged by their peers to have achieved professional distinction. Stacy is also a Fellow in the Litigation Counsel of America – an invitation-only honor society that limits its membership to the top 0.5 percent of trial lawyers. Fellows are selected on the basis of effectiveness and accomplishment in litigation and superior ethical reputation. Stacy is a founder of Insurance Institute of America (ILIA) of the Litigation Counsel of America, founded in 2013. Stacy is a frequent lecturer and author on issues affecting the insurance industry. She has authored several articles and is co-author of a chapter in the New Appleman Insurance Law Practice Guide. Outside the office, Stacy volunteers her time with Southern Minnesota Regional Legal Services as a member of The Campaign for Legal Aid. She is also involved with her church and her children's schools, plays classical piano and is a voracious reader.